Many of the craters seen in this image are volcanic rather than impact in origin. 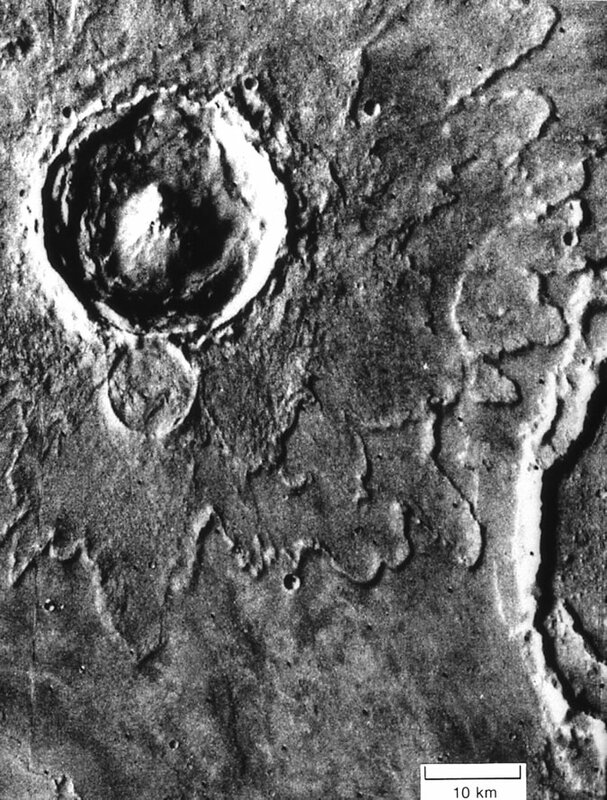 Scientists attempting to use impact craters as a measure of surface age must undertake the difficult task of distinguishing between these types of craters. The largest crater visible in this image is the 34-km-diameter caldera of Albor Tholus. This caldera and many smaller craters seen on the volcano's flanks were formed by the withdrawal of underlying magma. The next largest crater in this image (11-km diameter) exhibits the raised rim and ejecta blanket characteristic of impact origin.